There is some debate over how many Scottish Whisky regions there are actually are. The undisputed fact is that there is at least five. However, many consider the Islands and the Highlands to be separate regions as the whisky varies considerably between the two locations. We have opted to separate the two for the sake of this article in order to look at the difference in complexities and flavour profiles. The remaining regions are Speyside, Lowlands, Campbeltown and Islay. The largest whisky-producing region in Scotland is the Highlands, The vast expanse of the area means the whisky from this region is very diverse and makes up 25% of the total whisky volume produced by Scotland. Impassable moorland and rough seas form the majority of this region allowing for smooth, peaty and floral tendencies. In the North the most notable whiskies would be Glemorangie and Dalmore, the sub region provides rich and sweet full-bodied single malts. Lighter and fruitier whiskies are found in the East and South, with the South hinting at some nuttier flavours from Tullibardine. 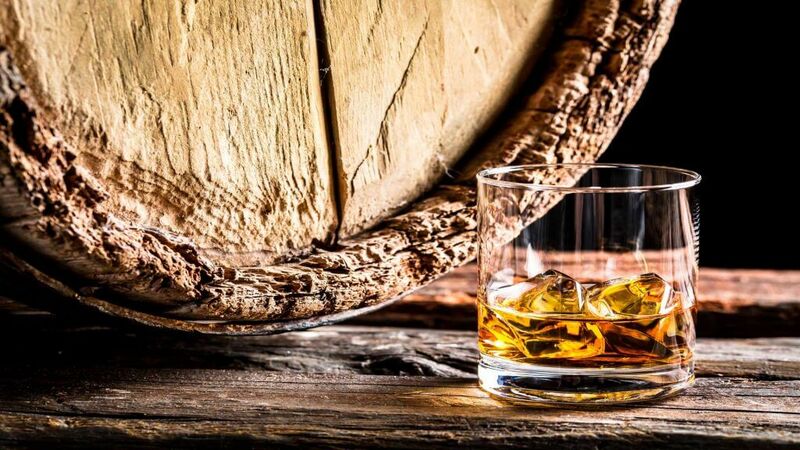 The West boasts smoky and peaty whiskies with Oban being one of the most recognised. This is the second largest whisky region however the density of distilleries is one of the lowest, hosting less than 5 in the entire region. The whiskies from this region are often referred to as the ‘Lowland Ladies’ as their lighter floral taste notes are considered more feminine such as Linlithgow and Glenkinchie. The most common flavours found are honeysuckle, cream, toffee, ginger, toast and cinnamon with Auchentoshan still triple distilling their whisky, creating a more citrus flavour. Peat and salinity are not present as there is less exposure to the sea due to bordering England on the southern most point. Speyside is the global focal point of whisky. Although it is technically a part of The Highlands region, due to its unrivalled density of distilleries (over half of all Scottish distillers), it is classed as a region of its own. Its most famous whisky being Glenfiddich, which is the world best selling single malt. Other renowned brands are Glenlivet and Macallans. The variety of whiskies in this region, considering its small nature, is very impressive. Honey, vanilla, apple, pear and spice all play a part in the flavour profile of Speyside, whereas it is known to mostly/wholly leave out peat. The Islands offer a very different type of whisky to that of the other regions. Although the Islands are not recognised by the Scotch Whisky Association as being a region of their own, their flavours and geographic presence mean that they regularly are considered a region. The key Islands that distil are Orkney, Skye, Jura, Mill and Arran. Although their taste profiles all vary, peat and salinity are found in all whisky from the Islands. The most common flavours from the Islands are honey, heather, black pepper, oil and brine with Talisker and Jura being most known around the world. Island whisky as a whole offers challenging maritime flavours with some being for the more experienced palate. Campbeltown was the Manhattan of whisky and at one stage played host to 34 distilleries. A slump in the latter stages of the 1800’s was largely due to distilleries cutting corners to meet increased demand, which damaged the quality and therefore reputation of the whisky. There are now just three remaining with the whisky produced renowned for its dryness. Despite the small size of the region and therefore close proximity of the distilleries, the whiskies they produce are very distinctive. Glen Scotia is recently known to produce lighter herbal whiskies where are Springbank offer very smoky malts. Between the three distilleries you will find salinity, smoke, vanilla, toffee and fruit flavours. Islay has eight distilleries with the better-known ones being Laphroaig and Lagavulin. It is the smallest of the Scotch regions laying to the west of the mainland. It is believed that whisky distillation came from Ireland into Scotland via Islay in the 13th century. The region is best known for its peaty produce with other common flavours being floral, smoky, linseed, brine, apple and seaweed.